Updated Thursday October 12, 2017 by Bree Benedict. 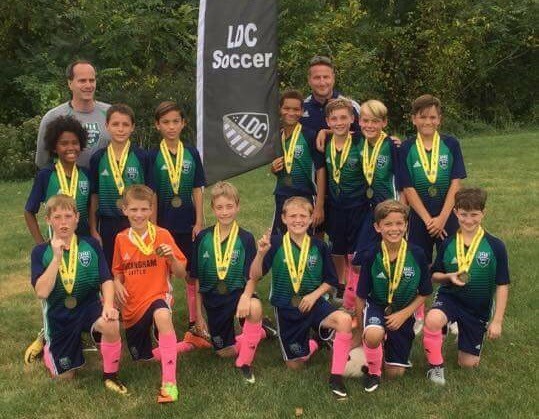 Eleven teams from Buckingham United participated in the LDC Coppa Classico over Columbus Day weekend. The Buckingham United crest was tough to miss in town, whether it was at the Hershey Park private event, the Hershey Lodge Water Park or the many wonderful fields dotting the countryside. The real story though was the success of Buckingham United teams this weekend. The combined record of all Buckingham teams was 21-13-4 (W-L-T). Eight of the eleven teams advanced to the semi final round, five of these teams advanced to the finals and two teams, BU12-Green and BU14-Green ended up winning the tournament! Congratulations to all teams that participated and a big thank you to all the coaches, managers and parents that made the weekend so magical. Additionally, congrats to all our many teams that took part in tournament play this weekend! View More Team Pictures in Photo Album Facebook and Instagram!